The pastor with whom I work is heading over to Germany soon to serve as the pastor for the Wittenberg English Ministry for 2 weeks. 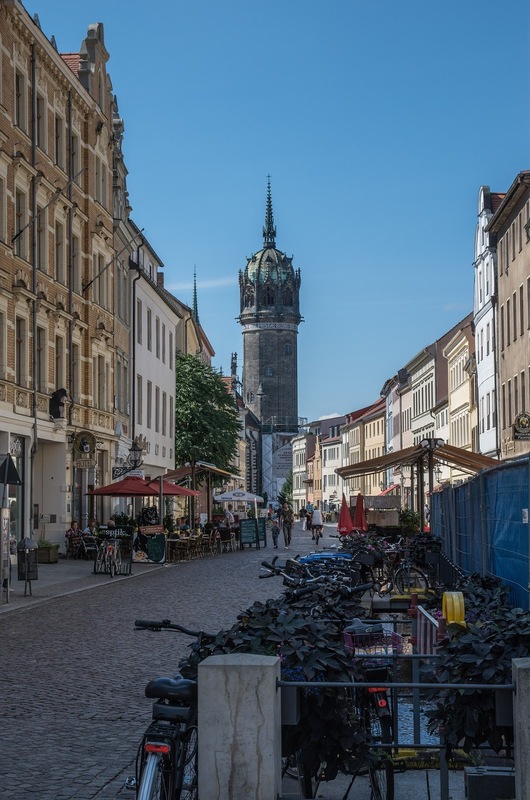 This ministry offers visitors Wittenberg English-speaking worship opportunities at the Castle Church and Town Church where, in the 1500’s, Martin Luther preached. In preparation for that, he is preaching on vocation/call this coming Sunday. I decided to reflect on vocation too. You can read my reflection on the appointed texts for this Sunday from August 2015. Or check out the GIFT post on Sunday. Vocation is one of those words. You hear it but what exactly does it mean? Nowadays vocation usually means a job or career. It might include something about being suited for that job or career (the word “calling” has picked up that same meaning). It is often a descriptor for training for a job or career. In 1515, it meant you chose…or, maybe, were chosen… to be a priest, monk, or nun – set apart from the common people for a “spiritual purpose”. Vocation is one of those things reformed by the reformers. They taught that everyone - all people - are created and called by God to live in service to God by serving the neighbor. Currently, the idea of service to God and others is sometimes tossed out the window. One’s decision is guided by interests, how much money you can make, how hard it is, celebrity, where you want to live, and, yes, aptitude. God has made you uniquely equipped for your calling/vocation. Those general concepts above become specific in your particular life. Luther would teach that you can have more than one vocation at any one time. He was clear that we have a vocation to be in relationships with parents, siblings, spouse, children. And that includes neighbors, enemies, and creation. It also includes being an ethical member of society, contributing to the common good. All are equally important and valuable - from bringing world peace to changing a dirty diaper. Some vocations may be with you through life and only the form of service changes. Others, you may grow into as you begin to experience the complexity of life. You might get paid and you might not. And vocation is not only for Christians. Every single human is created and called to live in service to others. So, how have you experienced the idea of "vocation" in your life? How do you recognize a call from God?